This is a common mistake committed by long time and novice users of PowerPoint. Making edits to PowerPoint templates and format changes on individual PPT slides will disturb the visual coherence of the PowerPoint presentation. A change made in one slide is never reflected across the presentation and therefore it is not uncommon to see presentations that have multiple fonts styles for the same heading levels or a hodgepodge of colors in tables in the same presentation. Consultants should remember that when making changes to the presentation elements such as text, table styles and colors, ensure that you do these edits in the Slide Master alone so that changes are reflected across the presentation. 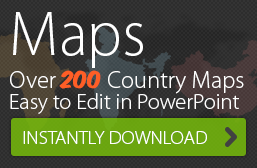 If you don’t like any of the readymade templates that come with PowerPoint, why not go for an easily customizable, professionally designed PPT template from 24point0? If you don’t have the time and effort necessary to turn your presentation into a well-designed PPT, use 24point0’s PowerPoint production services. 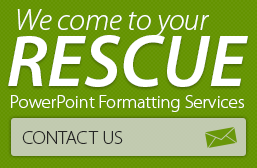 Professional designers and editors will help you create unforgettable and compelling PowerPoint presentations.